The deluge that devastated so much of the Midwest over the last week could be a preview for one of the worst years for flooding in the United States, according to federal weather officials. Now flooding is occurring at St. Joseph, Mo., with waters there forecast to crest more than 2 feet above major flood stage March 22, and reach near-record levels at Atchison, Kan., on March 16. The Missouri River and its tributaries escaped its banks last week after a major storm dumped heavy rain on melting snows. While crops haven’t yet been planted in the region, the record flooding has impacted livestock, transportation — including disrupting railways used to deliver ethanol to Texas refineries — and people’s homes. And more is on the way for the United States, according to Mary Erickson, deputy director of the National Weather Service. More than 200 million people and two-thirds of the 48 contiguous states are at risk for flooding in their communities, said Edward Clark, director of the U.S. National Water Center in Tuscaloosa, Ala. At least 13 million people could face major flooding, he said. Many of the cities along the banks of the Missouri River already have been inundated, with 30 flood records being set in Nebraska, Iowa and South Dakota, according to Kevin Low, a hydrologist with the Missouri Basin River Forecast Center in Pleasant Hill. Emergencies have been declared across 80% of Nebraska, with Gov. Pete Ricketts calling it the largest widespread disaster the state has faced. On March 21, Flint Hills Resources said it is adjusting gasoline production to make up for the loss of ethanol after Upper Midwest flooding closed railways used to ship the biofuel to Texas. Even as flood waters on the Missouri recede in the next week, it doesn’t erase the peril for the region because there still is a lot of snow that has to melt, and more rain could cause the water to rise again. Also, several other smaller rivers, including the Big Sioux and James River, are at high risk for the next month. The agricultural impact on the spring flooding could be muted if the weather turns dryer later this spring,said Brad Rippey, a U.S. Department of Agriculture meteorologist. 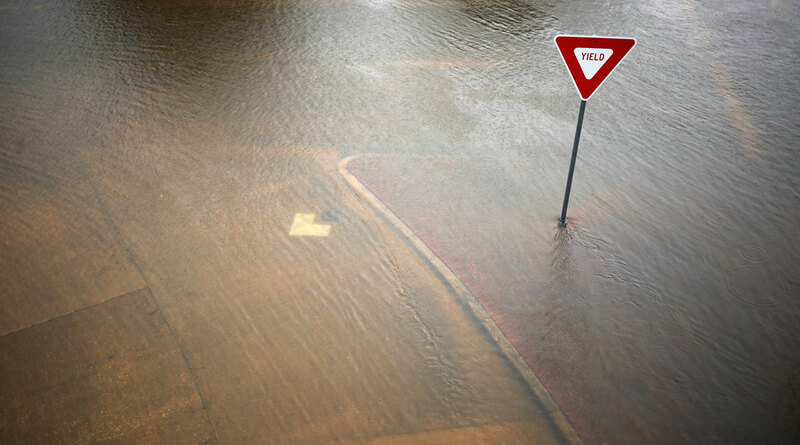 The United States had its third-wettest year on record in 2018, leaving ground saturated, according to the U.S. National Centers for Environmental Information. That was followed by the wettest winter on record in the 48 contiguous states. Parts of the upper Mississippi and Red River in North Dakota and Minnesota have received triple the amount of normal rain and snow this season, Erickson said. This has primed conditions for flooding this year, said Jon Gottschalk, a meteorologist with the Climate Prediction Center in College Park, Md.